Access to remote lands has always been a challenge. What was acceptable in the past may have had unintended consequences in the future. 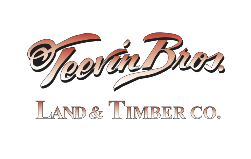 Teevin Bros. approaches new development and access from a perspective of making the smallest footprint possible. When roads will be maintained for the future, we look at sustainable construction to ensure the next generation can efficiently keep roads passable and productive. We are proud of our reputation finding innovative ways to lay-out access to timberlands, as well as cost saving methods to construct roads with minimal impact to the environment. Fittingly, our construction crews are most adept at decommissioning roads and restoring vast reaches of forest lands back to near natural conditions. In the average year, we often decommission twice as many miles of road than we actually construct. Decommissioning access roads can often be challenging, but there is satisfaction to return the next spring to see native grasses and indigenous trees growing where roads had once been. We maintain miles of roads for both timber management companies and investment groups. In protecting the environment, we often use mechanical methods to control overgrowth or invasive species. We also clear land for development, again adhering to good stewardship practices that prevent run-off and erosion, while keeping wetlands healthy. For more information about our road construction or land development services please contact Aaron Breckinridge or Shawn Teevin.